To celebrate the 21st anniversary of their debut release, Blur’s sixth album 13 has now been expanded across 2CDs, with an entire disc of bonus material added to the original album. Originally released in March 1999, 13 saw a departure from long-time collaborator Stephen Street with William Orbit taking over production duties, what followed was Blur’s fourth consecutive No 1 album and a further, more introspective, development of their music. Accompanying the remastered album in the 13 Special Edition is a whole disc of bonus material, including b-sides to the hit singles Tender, Coffee & TV and No Distance Left To Run. Featured in this extensive collection of b-sides are each band member’s own remix of the album track Bugman, the track Beagle 2 (which was sent aboard Mars landing spacecraft of the same name) and the epic Cornelius Remix of Tender. Completing the bonus disc are a demo version of I Got The Law (previously only released on the Japanese version of 13) and the Music Is My Radar single (and its b-side) released on the 2003 Blur: The Best Of. The 13 Special Edition is housed in a deluxe lift-off lid box with four exclusive Blur artwork postcards and an expanded booklet that includes previously unseen photos and liner notes based on a brand new interview with all the band members. To celebrate the 21st anniversary of their debut release, Blur’s sixth album 13 has now been expanded across 2CDs, with an entire disc of bonus material added to the original album. Originally released in March 1999, 13 saw a departure from long-time collaborator Stephen Street with William Orbit taking over production duties, what followed was Blur’s fourth consecutive No 1 album and a further, more introspective, development of their music. Accompanying the remastered album in the 13 Special Edition is a whole disc of bonus material, including b-sides to the hit singles Tender, Coffee & TV and No Distance Left To Run. Featured in this extensive collection of b-sides are each band member’s own remix of the album track Bugman, the track Beagle 2 (which was sent aboard Mars landing spacecraft of the same name) and the epic Cornelius Remix of Tender. Completing the bonus disc are a demo version of I Got The Law (previously only released on the Japanese version of 13) and the Music Is My Radar single (and its b-side) released on the 2003 Blur: The Best Of. 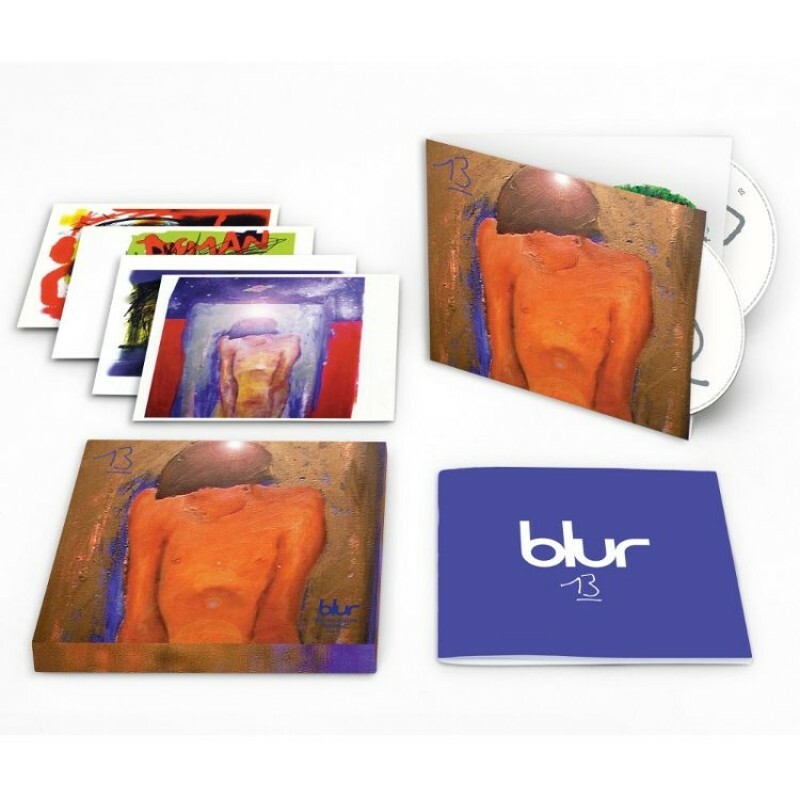 The 13 Special Edition is housed in a deluxe lift-off lid box with four exclusive Blur artwork postcards and an expanded booklet that includes previously unseen photos and liner notes based on a brand new interview with all the band members.